Ngambela to the late Chief Musokotwane of the Tokaleya people in Kazungula District has lamented at the increasing cases of defilement and early pregnancies in the Chiefdom. 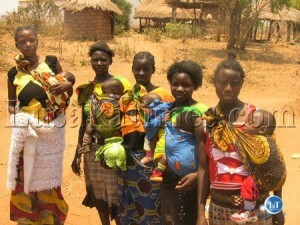 Ngambela Sydney Syakalima said most of the parents are forcing their children into marriages so that they benefit.He said most of the girls below the age of 18 are now mothers. Ngambela Syakalima said in some cases girls as young as 14 are married off for the sake of cattle.He said when the Chief was alive a lot of things where done properly unlike after his demise about 3 years ago. The Ngambela appealed to Government to quickly establish proper channels of communication with relevant authorities in the area to follow if one is to report the cases. 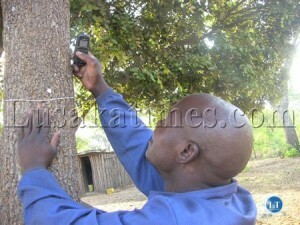 Ngambela Syakalima was speaking in an interview with Lusakatimes yesterday.Currently Mobile Network is difficult to access in the area as most of the time the phones display a network service message once a person is in that area. A person wishing to make a phone call has to move long distances to access the network. But earlier this week, Kazungula District Commissioner, Albert Chifita told the State News Agencies, ZANIS that Government is committed to improve the life of a girl child. Mr.Chifita said his office will not take lightly cases of early marriages and called for the punishment of parents engaging their children in the vice. He said parents should be looking at educating their girl children as it is for long benefits. Meanwhile the District Commissioner warned men who are found of sexually abusing young girls to avoid the vice or face the law. He said Kazungula is famous for such offences.Under the Statute Defilement is classified as a felony and attracts the minimum sentence of 25 years imprisonment. Ba mambala ukutemwa ukutwa utubaiche. Umulandu wansala and maybe lack of clear goal and immediate benefit of aquiring education, abafyashi nabo I guess have choosen to make a quick kwacha pa tukashana- in most cases ka K200 sau nangu utubushi tubili as lobola. Elyo family planning nayo tabaishiba abena mushi so kulafyalanafye ngempanya considering that ba mambala abalumendo balasheta tumutoba fimomo all the time. Maybe ba education minister ( Also, ba advsisor to the presido) will go there to that village after returning from Brazil tour and add another school in that area and possibly strike a deal with parents and chiefs that each goat is awarded to the family for a every girl child that reaches 7th grade and 2 goats for a 12th grade. Just a thought! stop complaining about early marriages,,, provide education to people,,,,let them know the importance of aquiring and an accademic skill,,,the problem that we have in zambia is, we have made education a prestige for the few,,,,,which should not be the case, education should be the right of every zambia, and citezens should have a right to sue the government if ti does not givr them access and resources to ed.